For those of you who weren't following along with my (dare I say hilarious) instagram stories on our honeymoon, allow me to give you a taste of where we were... We took a road trip driving from east to west across Northern Italy, with stops to see the mountains, lakes, and countryside. our trip began with Venice, where we caught up on sleep, meandered around, and ate gelato. The food in Venice was only so-so, but the views were breathtaking. My favorite activity was the Peggy Guggenheim museum. By no means am I an avid art-critic, but this place felt cozy and well-curated. They also do daily talks in English on specific topics and I learned about geometry in modern art. Highly, highly recommend. Next we drove to Follina, a town along the Strada del Prosecco where the grapes for Italy's version of champagne are grown. We took a tour around the charming area, and visited two family-run vineyards where they treated us to bubbly, and sopressa which is a type of salami that was unforgettable. Also, I became addicted to aperol spritzs in Italy. Next up, we headed way up north to the Alto Adige area. 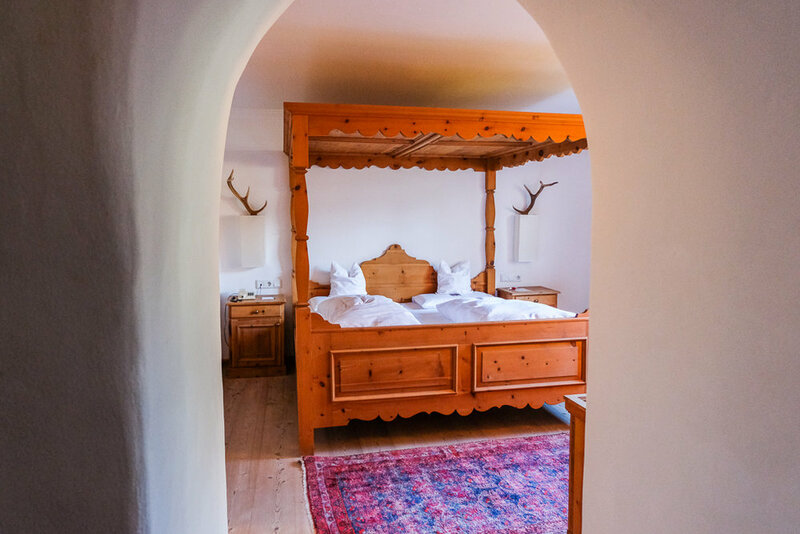 Our hotel, the Romantik Hotel Turm, was nestled amidst the Dolomite mountains (can you imagine that drive?) and it was SO picturesque. 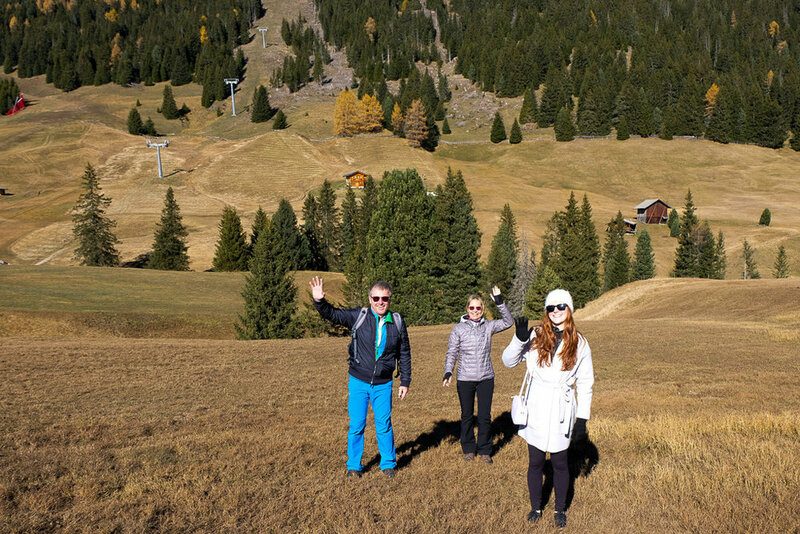 We visited Seiser Alm with our new friends, Wulf and Monika, took hay baths, and ate the best strudel of my life. We also visited Bolzano, a charming town with nice shops and a farmer's market. Doesn't the view from our room look like a painting? After the mountains, we drove to the lakes. We stayed near Lake Garda for 2 days, then by Lake Lugano. We also took a day trip to Como where we road a boat around for a few hours, and hopped off at cute towns like Cernobbio. We loved the serenity the lakes offered, and ate really unique food in Agno, an Italian-speaking region of Switzerland. One fantastic dish we tried consisted of chestnuts wrapped in cabbage and bacon. Another highlight was riding the cable car to the top of Montebaldo in Malcesine. Finally, we arrived in Milan for our last day before our flight home. We saw the captivating Duomo, I bought a fuzzy pink coat and some platform Superga sneakers, and then we said "Arrivaderci!" p.s: we relied on the help and expertise of Mr. & Mrs.Italy for our trip! I highly recommend reaching out to Deb, Claudia and their amazing team next time you're planning a trip to Italia :) I hope you guys enjoyed these photos! If you have any thoughts or questions, please feel free to comment below.